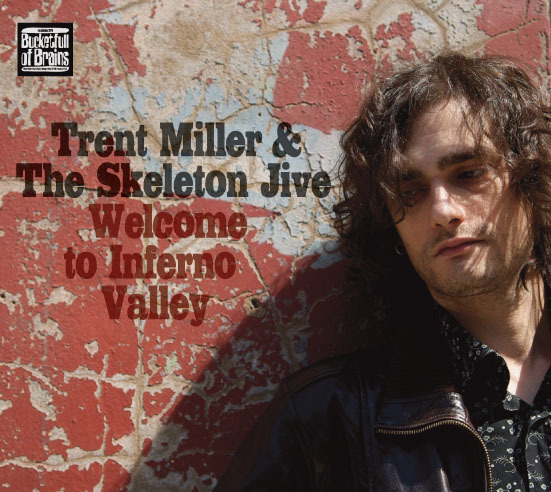 Bucketfull Of Brains is very pleased to announce we’ll shortly be releasing Trent Miller’s new record Welcome To Inferno Valley. The selections on the album have been recorded with The Skeleton Jive along with guest players including Benjamin Folke Thomas, Emily C. Smith, and Ruth Jacob. More details will be posted presently but among the tracks are live favourites such as ‘Fear Of Flying’, ‘Ballad Of The Gospel Oak’, and ‘Whispers Of A Fool’. Release date and full details of a launch party will be announced soon. Meanwhile Trent is playing regularly around London and beyond (check his website for more details). Specifically on Sunday 17th April he headlines a Bucketfull Of Brains/Stuntfox co-promotion at The Front Room at The Bull & Gate in Kentish Town.